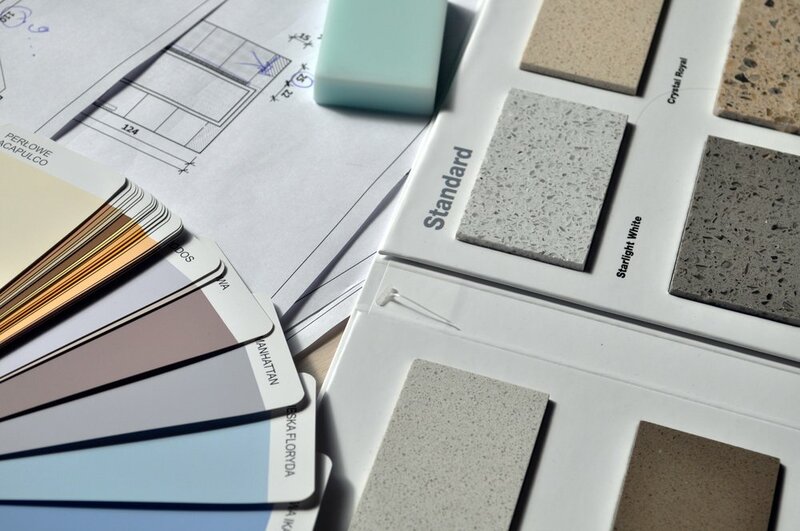 When it comes to order building products, Fuchsia Design does not do it, and there’s a number of reasons why. The first is, traditionally whomever was installing the product would be the one to order it. So, a tile installer ordered the tile. The flooring installer ordered the flooring. The electrician ordered the can lights. These professionals would order your product at a trade-discounted rate and then add a markup to the product and this is where a large portion of their income would come from. When designers started realizing that they could charge a markup on product, they started trying to do it instead. At Fuchsia Design, we believe in fostering positive relationships with not only our clients but also those building your home. We don’t like to step on toes, and we don’t try to take other trade’s livelihood by ordering them products in-house. As a result, whomever is installing the product is in charge or measuring, ordering, and warrantying it for you. Yes! Typically Fuchsia Design will order decorative light fixtures. This means chandeliers, wall sconces, vanity fixtures, surface mounts, you name it! The reason being that there are a lot of different websites we source lighting from and often you have to have an account with the company in order to order from them. Then, there are different sizes and finishes and styles, and it’s a lot of pressure for the electrician to ensure they are ordering the correct fixture and to set up trade accounts with each lighting manufacturer. Typically, it gives us at Fuchsia peace of mind knowing it was ordered correctly and the electricians appreciate it, too!